A new generation of attractions is being created across Canada. They playfully explore different ways to celebrate the 150th anniversary of a nation, our collective past and potential future. These unique and memorable experiences forge new frontiers for public engagement by activating spaces that bring people together. An array of sites, all free to the public, have been revealed across the country this year for Canada 150. 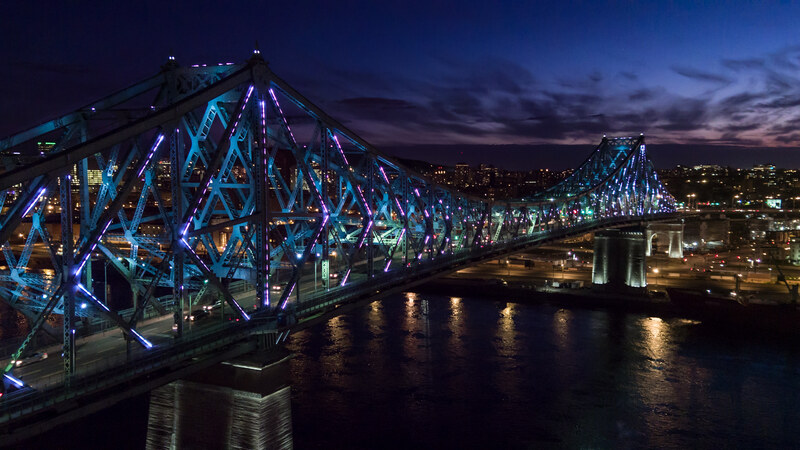 Summer began with the unveiling of interactive lights spanning Montreal’s iconic Jacques Cartier Bridge to mark the city’s 375th anniversary, a collaborative undertaking that will remain in place for over a decade. 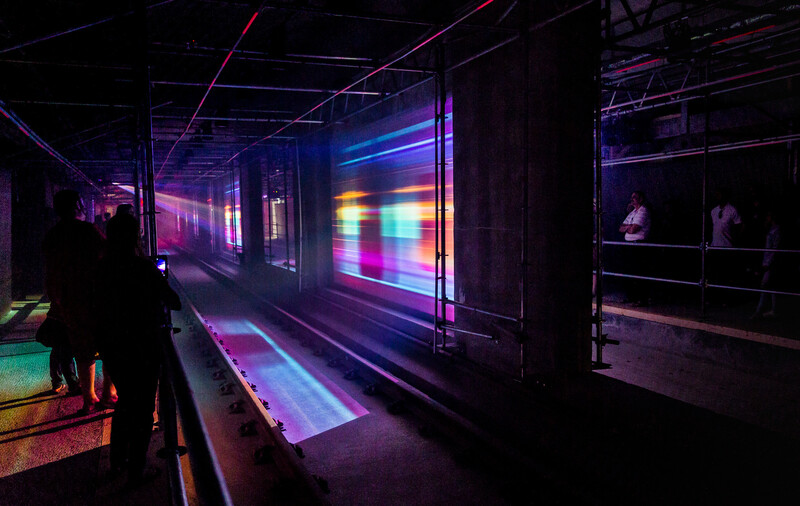 This was followed by the success of Kontinuum, an interactive multimedia installation designed to spark public interest in Ottawa’s Light Rail Transit initiative that drew 325,000 visitors in under three months. 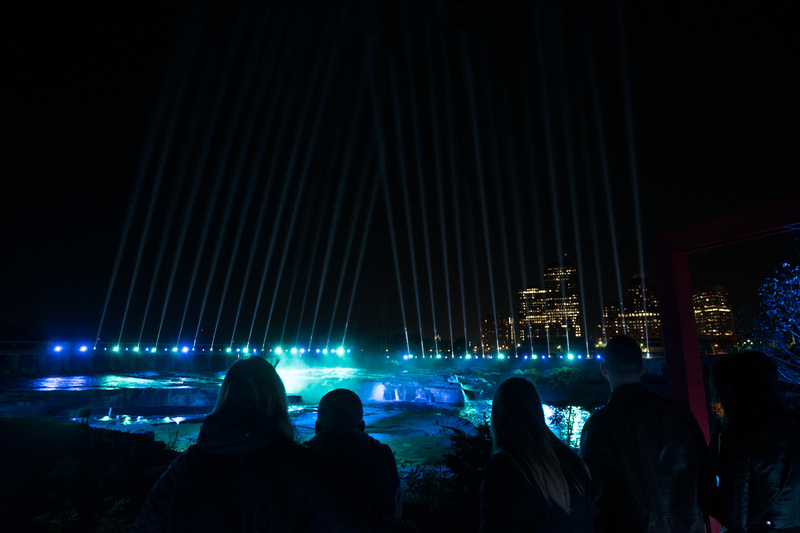 It was created as part of the Ottawa 2017 celebrations, which also commissioned Mìwàte, dynamic illuminations at Chaudière Falls. 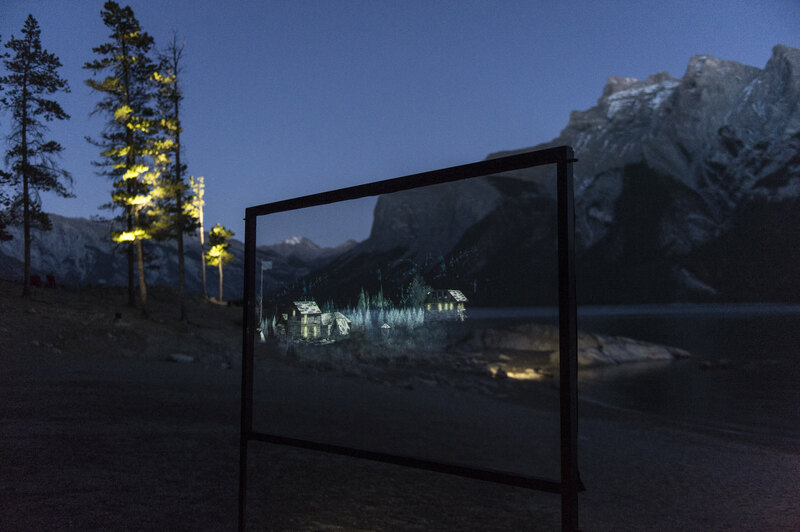 Also this fall, Illuminations: Human/Nature, a series of nearly sold-out multimedia experiences developed in collaboration with artist Sarah Fuller, lit up Canada’s earliest and most recent national parks through Banff Centre for Arts and Creativity and Toronto’s Rouge Urban National Park. Moment Factory, the creative firm that partnered with artists and cultural organizations to produce this surge of projects, applies multimedia technologies to create exciting but meaningful attractions within natural, heritage and urban destinations. These immersive environments act like a “digital campfire,” a light that gathers and connects crowds around it. Guided by the rallying cry “we do it in public,” Moment Factory designs and executes imaginative experiences that establish must-see destinations by infusing urban and natural landscapes with a sense of awe and enchantment. These projects extend sites’ usable hours and offer different ways to explore them, attracting new visitors and development opportunities that have a lasting impact on Canada’s cultural landscape and regional tourism initiatives. Based in Montreal with satellite offices in international artistic hubs (Los Angeles, London, New York, Paris, Tokyo), Moment Factory fuses together expertise from the city’s rich creative pool of film, video game and tech talent. This interdisciplinary team has more than doubled in the past two years, bringing in gifted designers, creative directors, programmers and artists from at home and beyond our borders. As it grows, the firm wants to continue recruiting exceptional Canadian talent from coast to coast. While Moment Factory has always had a vibrant presence in Canada, over the past few years the studio has honed its craft by collaborating on large-scale installations and shows around the world. Facilitating ambitious projects abroad has spread Moment Factory reputation for innovation, and Canada’s 150th offers the chance to bring that home. This series of attractions defines new landmarks that light the way toward Canada’s future. They capture the public imagination because, for Moment Factory, they’re all passion projects, designed to inspire a sense of wonder and connection. Like a campfire that draws people close in the night, these immersive experiences imagine new ways to share a moment together.